By Radu Iosif on 12/09/16 • Leave a comment! The new iPhone 7 may have 2X optical magnification, but what about 8X? 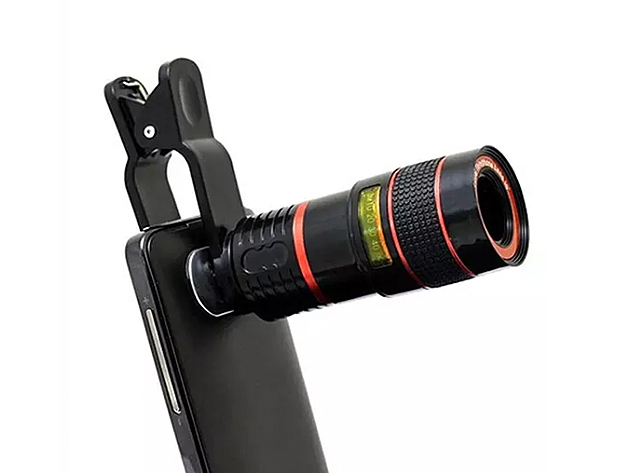 That’s how much you can get out of this Smartphone Telephoto PRO Camera Lens, although you’ll look a little silly in the process. But that’s fine, because it’s not like it’s supposed to stay on your phone at all times, it’s removable by simply clipping it on or off. Your smartphone has some pretty amazing photography capabilities, but if there’s one area they all fall short, it’s in the zoom. 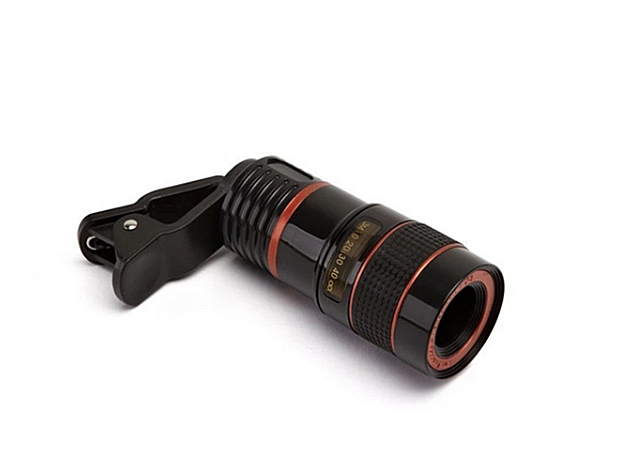 The easily removable Smartphone Telephoto PRO Camera Lens changes that, allowing you to get clear images at up to 8 times closer, letting you capture those specific landscape details or the intricacies of a flower or small object. Pack it up for your next outdoor adventure and you’ll be thrilled with the results! Normally $89.95, it’s down to $17.99 with today’s deal, shipped for free. By Radu Iosif on 11/29/16 • Leave a comment! Apple’s boneheaded decisions can often create opportunities for other manufacturers to develop products to fill in the gaps the company so courageously opens up. 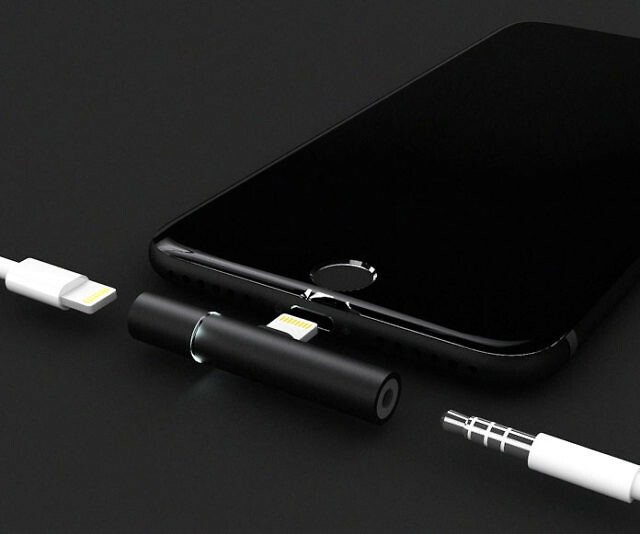 The lack of audio port on the iPhone 7 is creating a secondary industry of dongles and adapters, and the Auxillite is one of the more elegant ones we’ve come across. It allows you to do the most basic of things with your brand new phone: charge and listen to your normal freaking headphones at the same time. The device even features a Digital To Analog Converter (DAC) running at 16-bits with sampling frequency 44.1kHz/48kHz and 24-bits with sampling frequency 96kHz. It’s small, sleek, and fits-in with the overall aesthetic of the phone. And at $13 for one, it’s priced just right. 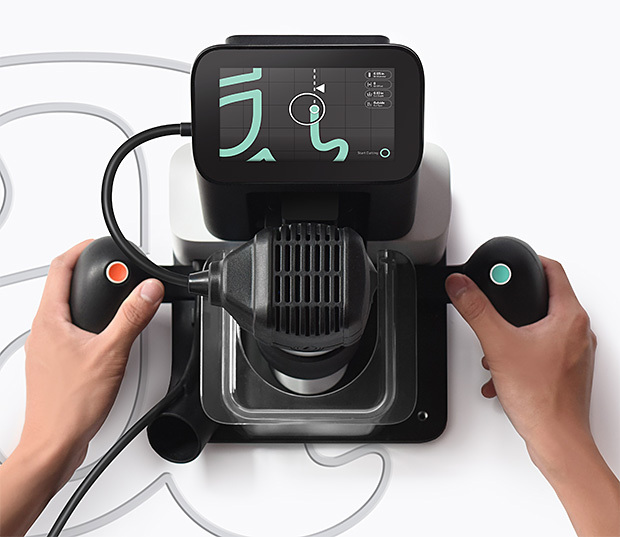 The kickstarter is fully funded and the device should ship in June 2017. You might be thinking “hey, I have to pay the bills, so I’ll accept that for 8 hours a day I’m completely sedentary and can’t work out. And then I have errands to run and stuff to do after work, so hey… who on earth has time to work out? Amirite or amirite?” The Cubii just called you out, man. 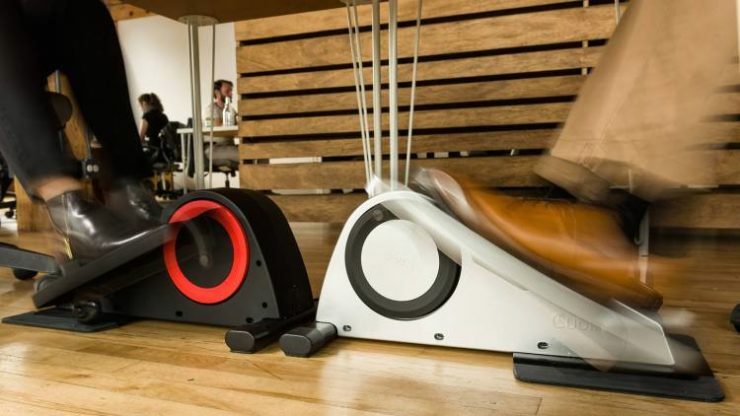 It’s a small elliptical trainer that fits right under your desk. 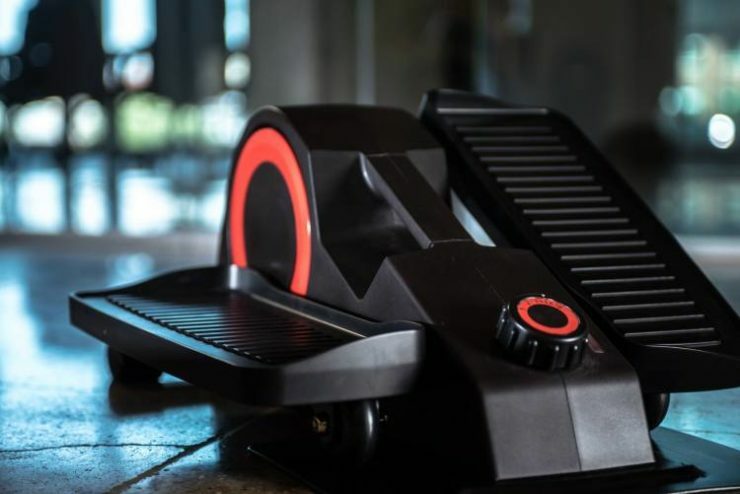 Its silent operation means you won’t disturb co-workers, and 8 levels of resistance can help you dial-in just the right intensity so you’re getting some workout done, but don’t break a huge sweat. The Cubii can reportedly help you burn around 150 calories an hour, which is huge. Like everything else these days, it’s a connected device, so you can even track your progress through an app. $350 will get you yours, but if you convince your office manager to get it in bulk, there are significant savings to be had. By Radu Iosif on 09/29/14 • Leave a comment! Claims to be the “world’s smallest” anything tend to be taken with a grain of salt around these parts. 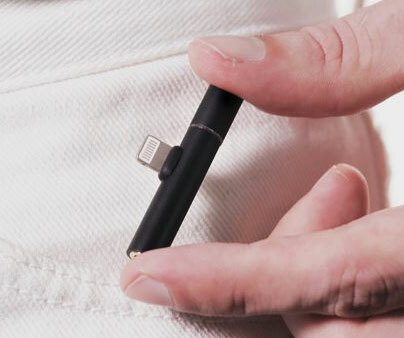 Looking at the Chargerito, however, it’s really hard to imagine the company being wrong in claiming to have developed the world’s smallest phone charger. Just look at the thing. It measures 2.1″ x 1.3″, which is about the size of a standard car key fob. You can just toss this in your pocket and feel the reassurance of knowing that you’ll be able to top up your battery pretty much anywhere you go. Chargerito is a $19 pre-order, and comes in Apple’s Lightning cable version or Micro-USB. The iPhone 6 bends…when you apply unreasonable and unnecessary pressure to bend it? Who would have thought! And like many things we read on the Internet, the less-than-scientific hysteria over #Bendgate doesn’t stand up to a rigorous stress test. That’s exactly what Consumer Reports did, and came away with the conclusion that the problem is non-existent, at least within the boundaries of normal use. The lab used a standard crush test instrument made by Instron (this is what computer labs like HP have used for decades, and it’s what all phone manufacturers use to check their devices), and engaged in a ‘three point bend’ test. The iPhone 6 Plus, the more robust of the new iPhones in our testing, started to deform when we reached 90 pounds of force, and came apart with 110 pounds of force. With those numbers, it slightly outperformed the HTC One (which is largely regarded as a sturdy, solid phone), as well as the smaller iPhone 6, yet underperformed some other smart phones. 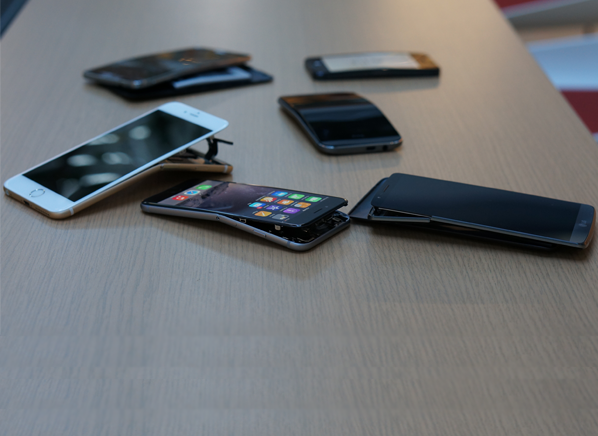 So yeah, the iPhone 6 Plus does bend, but not more so than other phones. It actually outperforms the iPhone 6, although in all fairness, the Samsung Galaxy Note 3 came come out much sturdier, requiring more than double the amount of force to deform. Still, unless you’re actually trying to bend it, or performing extreme sitting (as MKBHD would say), you have nothing to worry about. By Radu Iosif on 08/19/13 • Leave a comment! There really isn’t a whole bunch to say about this product. It’s a USB hub with three MicroSD card readers. The hubs are shaped like a pig, a cat, or a dog. The MicroSD card readers are suckling from the hub. It’s… cute. Right? Anyway, the flash cards themselves clearly have to be purchased separately, but they’re cheap so you won’t break the bank in the process. 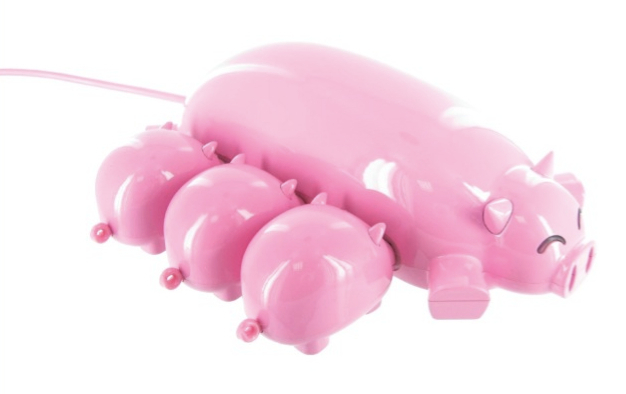 It’s £19.99, or $31 and the PigChum is currently available, while the others are up for pre-order. By Radu Iosif on 08/13/13 • Leave a comment! Another camera? Yawn, right? Well, not quite. 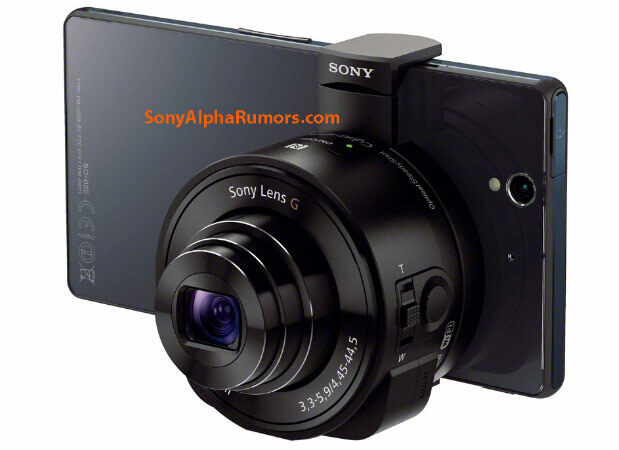 We’re actually really intrigued by the rumored DSC-QX10 and DSC-QX100 from Sony. These are not cameras, at least not complete ones. They’re meant to be attached to a smartphone (iOS or Android), and operated through the on-screen buttons, but the “cameras” lack a display, even a shutter. What they do have is “a sensor, processor, zoom lens, WiFi connectivity and an SD card slot.” Not just any sensor and lens, mind you, but the vaunted 1 inch RX100 Mark II sensor and Carl Zeiss lens in the DSC-QX10. The QX100 will get a “larger 10x focal range and a 1/2.3-inch 18-megapixel CMOS sensor.” So yeah, you might be able to squeeze some pretty high quality shots from your phone… but really it’s not your phone anymore, now is it? 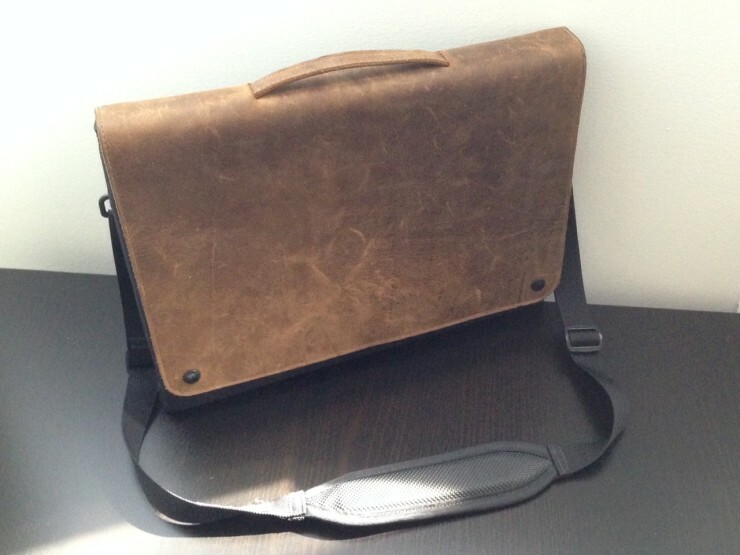 Granted it’s not a full fledged dSLR either, so an argument could be made for portability. But these are crossover products and these can be hit or miss. The DSC-QX10 and QX100 are expected to be officially announced on September 4, for an as-yet-unknown price.